What happens when we get a cold? Usually, we will turn to the tried and true vitamin C. But not all vitamin C is the same. Typically, ascorbic acid is what’s found in supplements and this can be a little hard on the body. It is an acid after all. 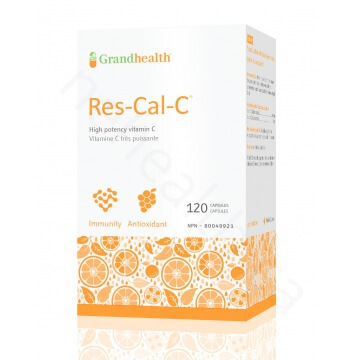 Grandhealth™ Res-Cal-C uses the calcium ascorbate form so that calcium “buffers” the vitamin C making it more gentle on the system and better absorbed. Of course vitamin C doesn’t work on it’s own. So we included some extra bioflavonoids to push it up a notch and provide some extra antioxidant power. 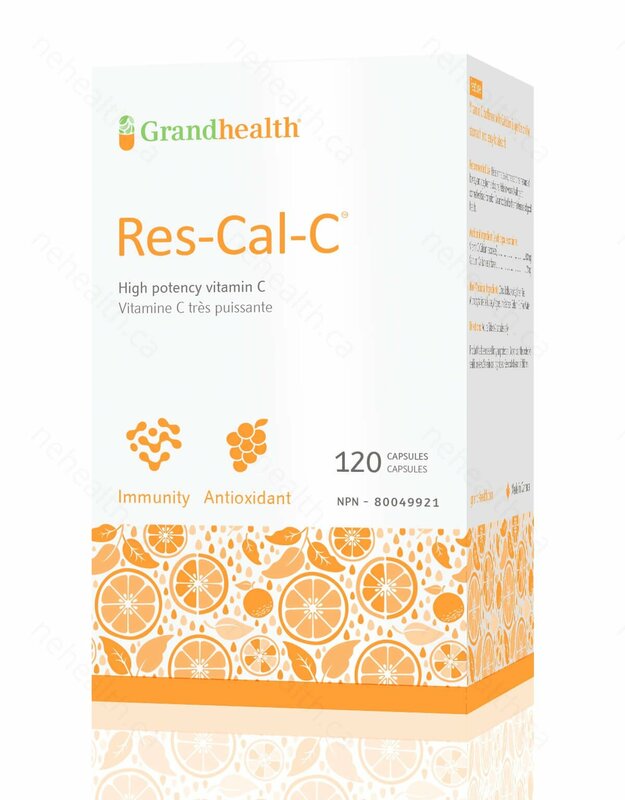 With 600mg of calcium ascorbate in each capsule, you can kick that cold to the curb. This product is Buy 3 Get 1 Free! * To qualify add 4 in your cart. This product is Buy 12 Get 5 Free! * To qualify add 17 in your cart. 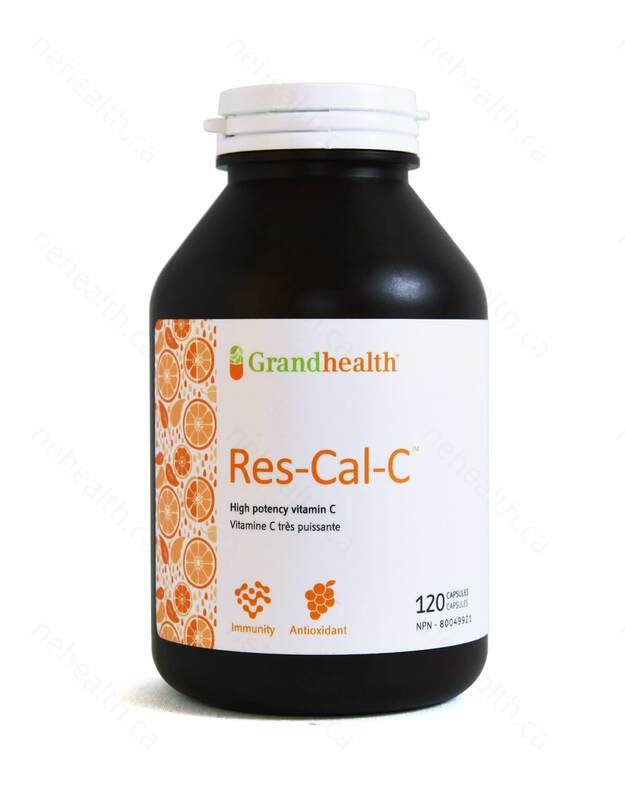 Vitamin C, an antioxidant nutrient for the development and maintenance of our vital organs, plays an important role in collagen synthesis and immune support. 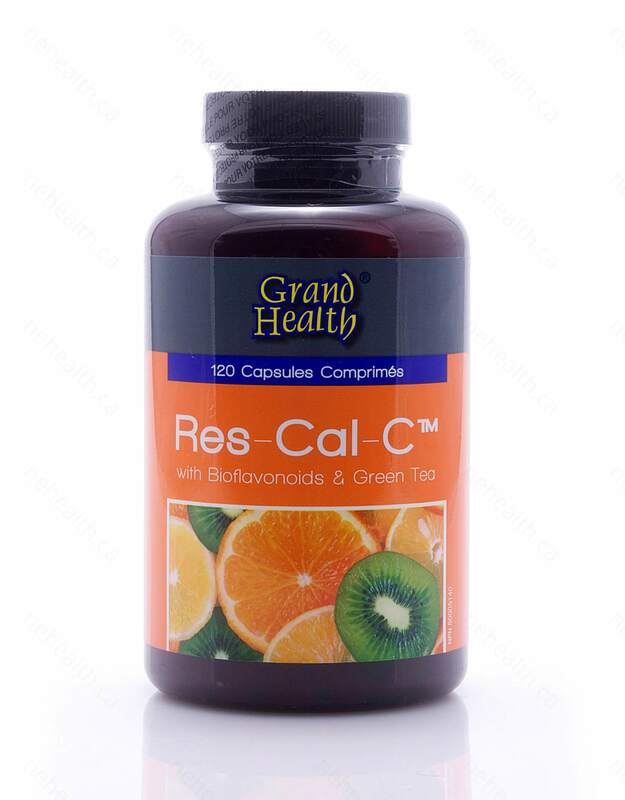 Grandhealth™ Res-Cal-C uses calcium ascorbate as the source of vitamin C. It is non-acidic and gentle on the stomach. 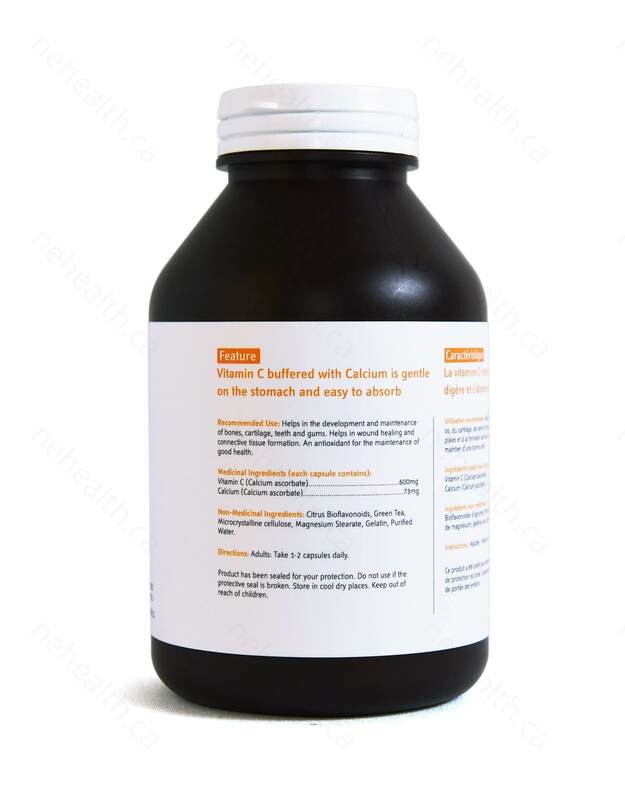 In addition, citrus bioflavonoids are added into this formula to enhance the bioavailability and effectiveness of vitamin C.
Citrus Bioflavonoids, Green Tea, Microcrystalline cellulose, Magnesium Stearate, Gelatin, Purified Water. Kalt, Wilhelmina, et al. "Antioxidant capacity, vitamin C, phenolics, and anthocyanins after fresh storage of small fruits." Journal of Agricultural and Food Chemistry 47.11 (1999): 4638-4644. Pauling, Linus. "Vitamin C and the common cold." Canadian Medical Association Journal 105.5 (1971): 448. Gorton, H. Clay, and Kelly Jarvis. "The effectiveness of vitamin C in preventing and relieving the symptoms of virus-induced respiratory infections." Journal of Manipulative and Physiological Therapeutics 22.8 (1999): 530-533. Hemilä, Harri, Elizabeth Chalker, and Bob Douglas. "Vitamin C for preventing and treating the common cold." Cochrane Database of Systematic Reviews 3 (2007). Zhao, Baolu, et al. "Scavenging effect of extracts of green tea and natural antioxidants on active oxygen radicals." Cell Biophysics 14.2 (1989): 175-185.